Portland, OR—The Oregon Department of Environmental Quality is requiring Bullseye Glass Co. to clean its exhaust stacks and remove a build-up of chromium that new data suggest is likely contributing to the metal's persistence in the air in southeast Portland. DEQ also is addressing other possible sources of the elevated hexavalent chromium detected by air monitors since March, such as reducing dust at a nearby cement company. DEQ is requiring these clean-up efforts as the Cleaner Air Oregon regulatory overhaul moves forward. Oregon Governor Kate Brown launched Cleaner Air Oregon to better incorporate health-based standards into the state's industrial air toxics regulations, and enable DEQ to use those standards in its permitting and enforcement actions. Under a new directive, DEQ will require Bullseye to complete the stack cleanout by Sept. 1, 2016. The deadline follows new findings that show nearly all chromium Bullseye emitted during the melting process converts to hexavalent chromium. The cleanout is required by the June 6 Mutual Agreement and Final Order (MAO) (http://www.deq.state.or.us/nwr/docs/metalsem/bullseyeMAOsigned.pdf) between Bullseye and DEQ. Currently, Bullseye Glass is not authorized to use chromium in any furnace, regardless of whether the furnace is equipped with a baghouse filter. In addition, Bullseye is not authorized to use arsenic, cadmium or lead in any uncontrolled furnaces. Dave Farrer, an OHA toxicologist, said the additional steps DEQ is taking at Bullseye will lower potential health risks. DEQ has also completed its review of test data for the baghouse control device at Bullseye glass. Test results show the device is efficient in controlling more than 99 percent of particulate emissions. Tests also found that the vast majority (more than 98 percent) of chromium emitted from the furnace during Bullseye's glass melting process is converted to hexavalent chromium. Hexavalent chromium exposure is linked to respiratory problems and cancer in people. 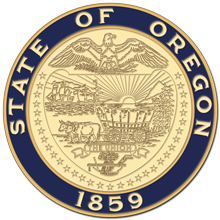 The test report is posted on the Cleaner Air Oregon website. DEQ is working with the Lehigh Cement Co. to improve the company's dust-capturing efforts when unloading cement from railcars. Lehigh's facility is located near the air monitors in southeast Portland, and while it is not required to have an air permit, DEQ suspects the cement dust may be a contributing hexavalent chromium source. •	Reviewing permit files and city tax maps as well on-site tours followed by three formal inspections. •	Examining multiple mobile sources of hexavalent chromium in the area, including a busy rail yard, high-traffic roads, a TriMet bus barn, and several trucking dispatch yards. Weekly air monitoring data are reported each week by the interagency group that includes DEQ and OHA, and published at http://SaferAir.Oregon.gov. For information about the Cleaner Air Oregon initiative to align industrial air toxics regulations with human health, visit http://CleanerAir.Oregon.gov.